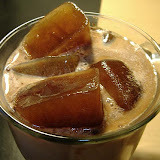 Morning Coffee & Afternoon Tea: The Iced Tea Maker! Making iced tea is now even easier. You have a machine to brew your coffee, so why not an iced tea maker too? These are fun machines to have if you enjoy a lot of cool iced tea in the summer. Great post! Iced tea, brewed from the leaves or flowers of numerous herbal plants, can provide you with a chilled glass of refreshing fluids. Not only can it help quench your thirst, but iced tea may also offer you several potential health benefits. Because everyone's dietary needs are different, talk to your doctor before making any major changes to your dietary practices, including the use of tea as a self-treatment for a potential health problem. Thank you so much to your blog now i have my own tea maker. lol! love it.. 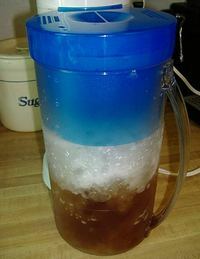 I want to have my own Iced Tea Maker! so I can make my favorite Ice tea in just a minute. We bought a Mr. Coffee Icemaker and tried the first batch. It tasted awful. We used family sized tea bags (3) and it started steaming right away. How did you get it to steep for ten minutes? We are still trying to get the taste right. We are going to use smaller bags. The ice seemed to dilute the Tea. That's good to know Judy, thanks! You can wash it in the dishwasher as long as you have AIR DRY.. I do it all the time. Just do not use heat dry.